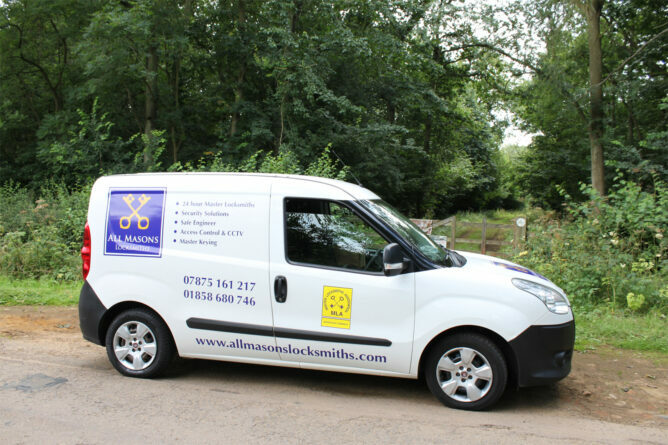 All Masons Locksmiths is a reliable local service for all your home security needs, covering Corby, Weldon, Great Oakley and the surrounding areas of Northamptonshire. 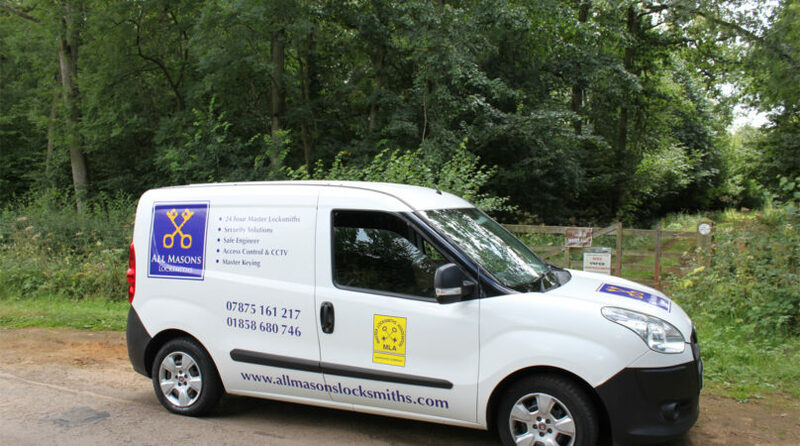 Fast, friendly and professional, our locksmith service is the ideal point of contact whether you’re locked out of your home, can’t access your safe, or need a helping hand improving your home security. If you’re unlucky enough to find yourself locked out of your property, there’s no need to worry. Our emergency locksmith is available 24/7, and aims to reach your within an hour of your call, ensuring you quick and easy access back into your home. Arriving with a fully stocked van of the latest equipment, you can expect swift work on any type of lock type, all completed without any damage to your door or locking mechanism. If one of your locks isn’t working as it should be, don’t hesitate to contact our locksmith today. A faulty lock doesn’t always need to be replaced, and in most cases can be repaired at your property. Our specialist can repair 90% of window and door mechanisms, from antique locks to multipoint locks. A lock repair is usually cheaper than replacing the lock altogether, although if we arrive to discover that no work is actually required, you won’t be charged. With 15 years of experience here at All Masons Locksmiths, our commercial locksmith is CRB checked, and equipped with the latest training and product knowledge. What’s more, you can hire our locksmith will full confidence and peace of mind, thanks to full liability insurance, covering up to £5 million. If you think your home could benefit from a full security assessment we also offer free security checks, available to private owners, landlords, and commercial premises around the Corby area. Our locksmith can assist with repairing locks, repairing uPVC fittings, and installing alarms and CCTV. Of course, there’s no obligation to undertake any work following the assessment. For emergency call-outs, a free home security check, or to obtain a quote on our various services, please contact our Northamptonshire office today. "Rory was extremely responsive to a request for emergency locksmith service, was out on site, sourced & installed a matching lock, re-keyed lock so we had a single key without fuss. Was happy to email invoice that night as I was not at home to make payment on the spot. Great customer service, would definitely use again."